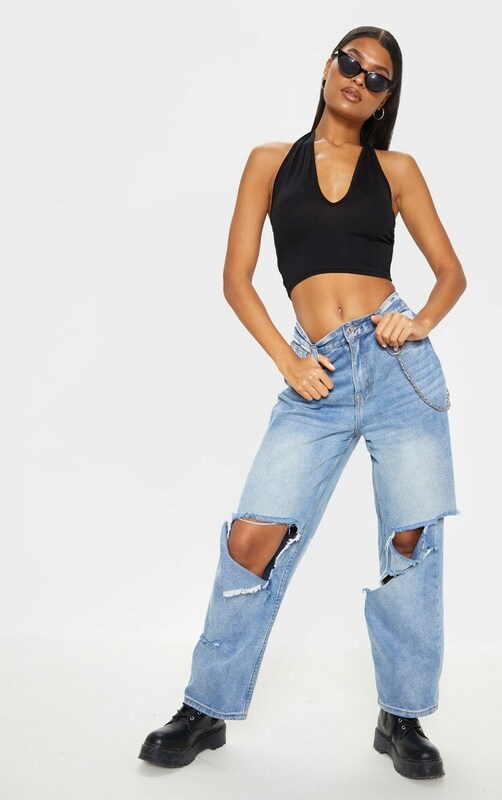 This jersey crop top is our new style saviour. 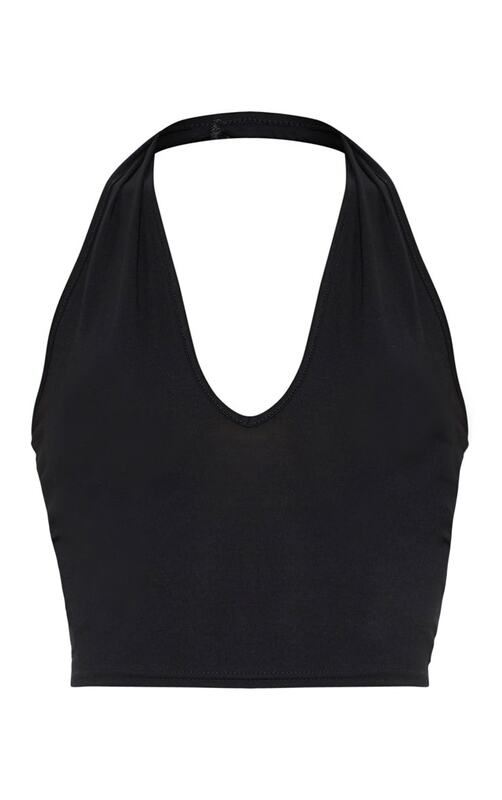 Featuring a stretchy black jersey fabric and a halterneck strap, we are obsessed. Team it with your fave pair of denim jeans and lace-up boots for a chilled off-duty outfit.